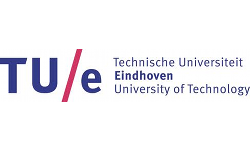 You prepare a doctoral thesis in Law on the topic of cross-border access to end-of-life services in Europe (at the intersection of health law, fundamental human rights, European law and international private law). The project involves an examination of the legal challenges that arise when European citizens want to access end-of-life services in another European country. The focus will be on assisted suicide tourism; euthanasia tourism; the import of suicide pills or materials; and the cross- border recognition of advance directives. You publish academic articles related to the topic of cross-border access to end-of-life services in Europe. You will be employed for 3 years at the Research Group Personal Rights and Property Rights of the University of Antwerp and 1 year at the Leuven Institute for Healthcare Policy of the KU Leuven. You contribute to research support and provide academic services in the respective Faculties. A strong interest in health law, fundamental human rights, European law, international private law, and/or criminal law is an asset. You have a good command of English and French, and excellent academic reading and writing skills. Applications may only be submitted online, until the closing date of 30 April 2019. For questions about the profile and the description of duties, please contact Prof. Kristof Van Assche (kristof.vanassche uantwerpen.be) or Prof. Steven Lierman (steven.lierman kuleuven.be). 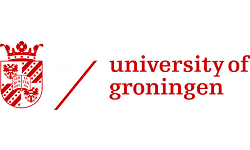 The research group Personal Rights and Property Rights of the University of Antwerp conducts fundamental, policy, and practice-oriented research into private (international) law. Its core legal fields are Law of Persons and Family Law; Family Property Law; Law of Obligations; Insurance Law; Property Law; Private International Law; and Health Law, which will be the core research field for the proposed PhD. The Institute for Healthcare Policy (LIHP) aims to be a top research and teaching centre at international level. The LIHP focusses on healthcare management and policy research. The LIHP entails 6 domains: quality and patient safety; health systems and policies; health economics; law in healthcare; communication in health care; and ethics in healthcare. For more information about the Research Group Personal Rights and Property Rights please visit https://www.uantwerpen.be/en/research-groups/personal-rights-and-property-rights and for more information about the Leuven Institute for Healthcare Policy please visit https://www.ligb.be.